Blizzard has filed a lawsuit against the maker of Legend of Crouching Dragon, a clone of Hearthstone that first came to light last fall. 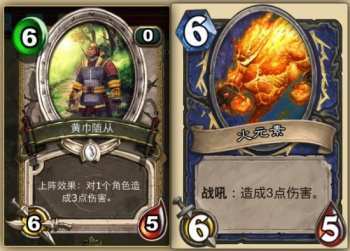 Legend of Crouching Dragon, a collectible card game available exclusively in China, is facing legal action from Blizzard over complaints that it is a clone of Hearthstone. MMO Culture, citing a Chinese-language source, said Blizzard and its partner NetEase are seeking roughly $1.65 million in the lawsuit, and quite likely a permanent injunction against the game. Legend of Crouching Dragon has actually been around and recognized as a Hearthstone clone since October of last year. While it's strictly a mobile title, the gameplay and many of the assets are identical to Blizzard's CCG. Blizzard CEO Mike Morhaime said at Blizzcon last November, "I am aware of another game that is infringing on our Hearthstone intellectual property, and so our legal department is taking legal action against that to protect our intellectual property." The free-to-play Hearthstone CCG went into open beta yesterday.